This is the best. If the storage is long for thin ones, the windings will slip. This review is about item#36565112. I was able to draw a beautiful line. It is also recommended for beginners. I will also use it. This review is about item#36565121. This review is about item#36565146. It stuck easily without stretching even when pulling it to some extent. It is narrow and well bent and very easy to use. More than anything, I love winding a lot. Because the outer diameter is large, the balance with other tapes does not match, it is hard to keep it. I thought it was better to have 2 small items. Even if you can use it because it draws considerable curves, it is the best. I also want to purchase. It is easy to use, I think it is a good product. 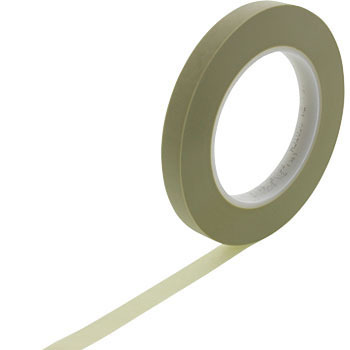 I use this 3 M tape when I put the line. I think that it is good overall but it should become more curved. I use it for the curve of the flare line of the motorcycle tank. Curves Because festivals, elongation etc. are small, it is good. If you bend it finely it will float a little. It would be nice if we could have more flexibility, but from a cost perspective I think that it can be used if it is not a fine curve. This maker is no doubt.